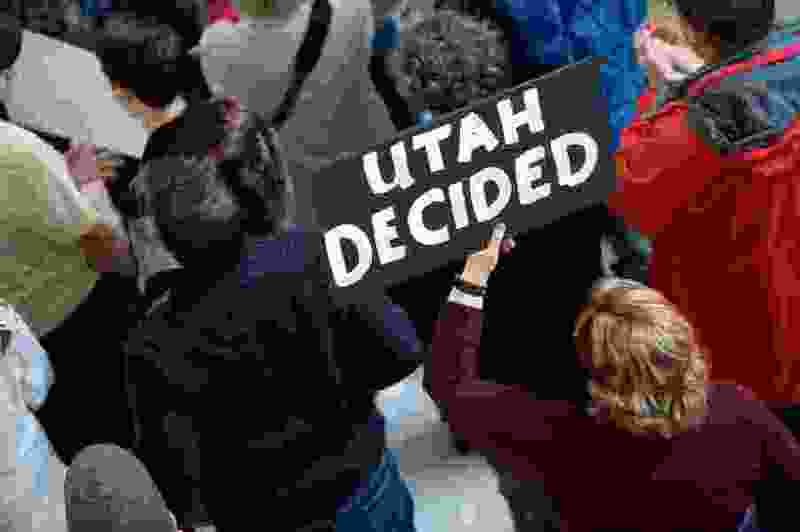 We Utahns are witnessing another pointless round of partisan bickering about Obamacare, this time about Proposition 3. Medicaid expansion has been implemented in 37 states; most of the gains in “coverage” under Obamacare have come through this expansion. Proponents of Medicaid expansion argue that all people deserve care when sick or injured and Medicaid can finance that care for people whose incomes are too low to afford care on their own. Opponents of Medicaid expansion, obviously including the majority of the Utah Legislature and the governor, argue that Medicaid costs are rising faster than GDP growth, an unsustainable trend, both for state and federal governments. Both sides are right, in part. People of all economic strata are healthier if they are blessed with some means of financing needed health care, but health care costs are exploding in the United States and it is irresponsible to ignore that reality. Thus, we have a perpetual, unresolvable, partisan divide about health system reform, specifically the variation of reform known as Obamacare. Both sides are ignoring the overwhelming evidence about what is wrong with their point of view. Proponents of Obamacare are ignoring the fact that Obamacare has failed as a coverage initiative, leaving tens of millions of Americans without health care financing. It is manifestly unfair to tax a populace for the health care costs of those too poor to pay taxes while the middle-class taxpayers are at substantial risk of insolvency if they encounter a significant illness or injury. And the American taxpayer was already paying the highest tax burden for health care before the Affordable Care Act was passed. Beyond failing as a coverage initiative, Obamacare fails at both protecting patients and being affordable, despite the bill title. Some 400,000 deaths per year occur in the U.S. due to preventable injury of hospitalized patients, a shocking statistic to which Obamacare has no answer. No patients are protected by Obamacare, nor is it affordable, either for families or government. Very recently data was published documenting that two-thirds of families becoming insolvent in the U.S. are driven to bankruptcy by illness and injury costs; most of these families had health insurance. It is no longer true that employment-based health benefits provide financial security for Americans if they face significant illness or injury. The opponents of Obamacare are wrong to assume that market-oriented strategies will correct what’s wrong with American health care delivery. For instance, the implementation of health savings accounts and high deductible health plans has hollowed out health benefits leading to financial disaster for American patients. Nor do market-oriented strategies deal with the quality of care issues, such as patient injury. It’s time for us to stop bickering about Obamacare. These are pointless arguments which are not dealing with the real issue: cost. Americans outspend the citizens of every other developed nation on health care by a wide margin. American health care costs too much because of quality waste and inefficiency. Poor quality care, including poor patient safety practices, leads to $700 billion per year in quality waste. Dependence on the private, for-profit health insurance business model, with its incredibly high overheads, leads to an additional $500 billion per year in inefficiency waste. Single-payer health system reform, studied over two dozen times in recent years, offers the cost savings needed for sustainable reform. I propose that we stop debating Obamacare and start talking about how to make it possible for one or more states to implement single-payer reform. Utah Sen. Mike Lee stated in 2010 that he would support federal legislation to allow state based single payer reform. Join me in calling on Lee to make good on that campaign promise.